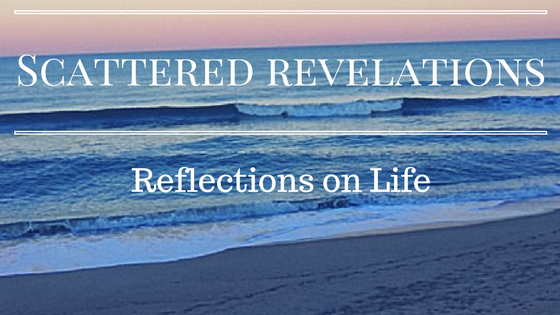 I preached this sermon on Sunday May 10, 2015 at the Unitarian Universalist Church of the Outer Banks. Happy Mother’s Day! I know that today can be a complicated day for many and I want to begin by acknowledging that. Today I want to focus the original theme of Mother’s Day which was a call for peace and justice and life and faith of Julia Ward Howe. 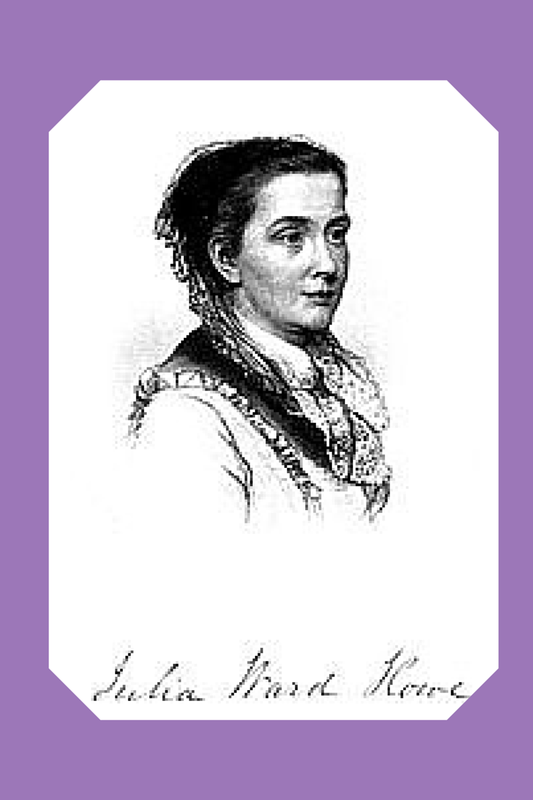 Julia Ward Howe was born in New York to a prominent and wealthy family. Her mother died when she was young and her father provided her with tutors and attendance at excellent schools for women and in addition her brother’s travel provided her an excellent library. Julia converted to Unitarianism from her Calvinist upbringing saying “I studied my way out of all the mental agonies which Calvinism can engender and became a Unitarian." She was exposed to the sermons of William Ellery Channing, heard a lecture by Ralph Waldo Emerson and Margaret Fuller. Her oldest son was baptized by Theodore Parker. After the death of her brother, his wife and their new born child, Julia married Samuel Howe, founder of Perkins School for the Blind. Julia was often unhappy in her marriage and she herself longed for something more than being a wife and mother. While her father had been a strict Calvinist he had provided his daughter an excellent education and a thriving social life. Julia published deeply personal poetry anonymously though her husband disapproved. They separated for a while but eventually reconciled as Julia was unwilling to lose a place in any of her children’s lives. Julia birthed seven children, losing one son in infancy. Both before and after her husband’s death, Julia became an outspoken reformer, preacher and writer. Julia, exposed to the horror of slavery, became an ardent abolitionist although she was not an advocate for equality of people of color. It was her opposition to slavery that inspired her writing of the Battle Hymn of the Republic which became a popular song of the Union Army. She was active in women’s rights, participating in numerous women’s clubs, was a leader of the Iowa Sisterhood and an active suffragist. Julia was horrified by the carnage and death wrought by the Civil War and the Franco-Prussian war and it was that which inspired her appeal to women later to become her Mother’s Day Proclamation. She attempted to gather women for a women’s congress but was unsuccessful. She did organize a Woman’s Peace Day Observance in Boston for a number of years but her attempts to get national recognition were unsuccessful. All of the early efforts at Mother’s Day were about justice and peace – not a sentimental appreciation of mothers. Anna Jarvis who successfully petitioned and began Mothers Day in the end distanced herself from it as she saw it becoming a commercial rather than a holiday celebrating the day to day ways women cared for and sacrificed for their families. Anna’s focus was on the influence of her mother on her life and the ways she saw mothers caring for and sacrificing for their children. While Anna did intend it as a sentimental family holiday it was also an honoring of the ways women contribute to the greater good through their work and sacrifice. It would seem then that the vision of Mother’s Day was to call attention to justice and peace in our world. These early women were women who broke stereotypes and went beyond the roles of wife and mother – in fact Anna Jarvis was neither. Anna was a college graduate and the first woman literary and advertising editor for Fidelity Mutual Life Insurance Company. Julia was the first woman elected to the American Academy of Arts and Letters. These women were early feminists seeking justice and recognition for women and their contributions. Today of course Mother’s Day for most is a commercial holiday – a day to remember to call your mom, remember your mom, take mom to brunch, send flowers or cupcakes or candy. It seems in our larger context little of the original focus of this as a feminist, justice seeking, peace seeking holiday is present. Without this early context, Mother’s Day can become a painful reminder of a mother from whom one is estranged, for the loss of children and mothers, and it seems that those women who nurture and care for others without adopting or birthing children are left out of the day. However the tradition is not lost, there are women marching in Washington today to call for an end to police brutality and violence. Many of the women marching have lost sons due to police violence. They are marching to call attention to the epidemic of police violence and the killing of men and women of color. They are marching to remind us that Black Lives Matter. So what do the words and example of Julia Ward Howe offer to us as Unitarian Universalists today? Julia’s call to peace, her call for an end of the carnage of war – “Our husbands shall not come to us, reeking with carnage, for caresses and applause. Our sons shall not be taken from us to unlearn all that we have been able to teach them of charity, mercy and patience.” – today we add our wives and our daughters. Her call for women not to have decisions made for them is no less needed today as women are denied or judged for making choices about their bodies, whether or not to have children, who they will love and how they will mother. More than ever it might seem that women’s choices are up for debate and judgement by “irrelevant agencies.” More than ever Julia’s call for a united, global movement to end violence and work for peace is essential and necessary. With our small planet brought even closer together by a global economy, global wars and blood shed, Julia’s call for an international commitment to peace and justice is even more urgent. Today we know that girl children are vanishing, are married off as young as 10, are victims of sexual assault and violence. Just yesterday Amnesty International has a petition drive for a 10 year old girl, raped by her step-father who has been denied a safe legal abortion to end her pregnancy. This past year the Nobel Peace Prize went to Kailish Satyarhi and Malala Yostavi for their work on behalf of children and particularly women’s education. Malala became a global icon when the Taliban shot her because she refused to stop going to school and demanded that other girls be allowed an education as well. Now she travels the globe bringing her message of education for girls to all who will listen. We remember the girls in Nigeria who over a year ago were kidnapped from their schools and have yet to be found and returned home. Anna and Julia were privileged to receive the education they did in the 19th century. The urgency of women’s education is no less today. The threat of women’s autonomy, education and exercising power over their own lives continues to be a threat to patriarchy and to maintaining the status quo. We know that educating and economically empowering women lifts up not just those women but their community and the next generation. So on this Mother’s Day yes let us call our mothers, remember our mothers and even wrestle with the challenges and pain motherhood and our mothers can bring. Let’s enjoy the brunch and the flowers. Let us also remember Anna Jarvis and her understanding that this was a day to honor the love, hard work and sacrifices women make for their families. Let us also answer Julia Ward Howe’s call for peace, for justice, for an end to the carnage and violence of war. Let us make this holiday not just a sentimental Hallmark commercial holiday but a call for justice and peace for this generation and all who will follow.